Whether you attract 5 new patients a month or 500, it doesn’t matter unless you find a way to build long-term relationships where they trust you to provide the comprehensive treatment they deserve. Your focus on Patient Retention is vital, because every patient you lose is like watching precious gold slip through your fingers. All the PROFIT is in the retention. A secret strategy for retention that leverages a fundamental psychological reality that practically commands them to stay with you forever. The 3 tiers of retention and how they must work together to build a lasting foundation for your practice’s success. Powerful “patient engagement touch points” that step-by-step build an iron hedge around every person who walks through the doors of your practice – they’ll never even think of leaving. How communication across your team is mission-critical to patient retention… you’ll discover a simple system to make sure every patient is optimally engaged and cared for every moment of every visit. The WRONG way to handle retention – make this mistake and it can cost your practice 10s, if not 100s of thousands in profit. 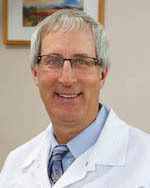 Building significant wealth in your practice – and setting yourself up for substantial growth whether to add another doctor, increase hygiene, cultivate big cases or prepare your practice for a “gold rush” exit strategy when you decide to move on to that phase of life – all of this boils down to Patient Retention. In addition to providing you a copy of my new book, I’ve set aside some time to personally design your customized Perfect Patient Retention Blueprint. Here’s your chance to have me at your side as together we Drill-Down Deep into what it will take to keep and serve – in a far more comprehensive way – the patients you already know. These patients represent the real treasure just lying there in your own backyard waiting for you. Just like “real GOLD,” they must be sought after and refined in a strategic, systematic way. Gain More Control Over Your Time. That’s how I’m able to remove days from my clients’ schedules and still actually make them more money…one of my best clients works an average of 3 days each week and only 3 weeks each month and earns more net profit income than most solo 3-op practices in North America. Improved Relationships and Increased Trust with Your Patients. 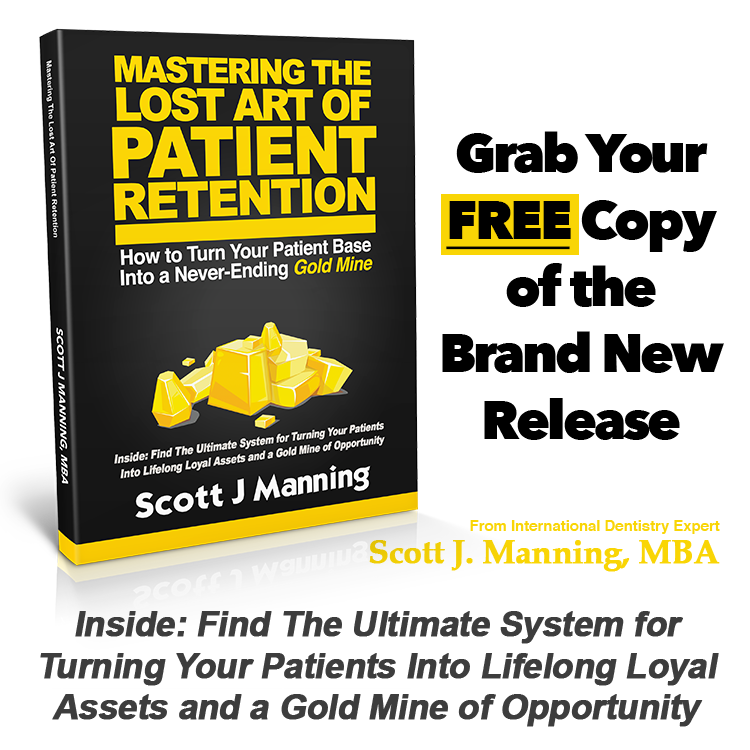 People buy from those whom they trust and my Perfect Patient Retention Blueprint... when you act on it, it will allow you to generate “raving fans” out of your largely untapped patient gold mine that will NEVER leave you. Reliable Recurring Revenue from Your Patients...instead of “one-off” visits. This is the bread and butter of my clients’ practices, and I’ll show you how to do it! Systematically “Cherry-pick” Solid Gold Patients. You’ll focus more on only those patients who are the most value to you and let your staff focus more of their time on new patients. Expand Your Market Beyond New Patients. This is where the income really starts to climb and most dentists don’t even bother with this. But when you implement the Perfect Patient Retention Blueprint we create together, you could catapult your practice even more! Come prepared for a candid, intense exchange – in fact, it just might be the most powerful, most rewarding talk you’ve ever had. And there’s no fee, no obligation, it’s my gift to you – yet the value to YOU after completing this call is immeasurable – because the customized strategy we’ll create together on this call will enable you to enjoy the company of your very best patients for as long as you choose to practice Dentistry. This will be the most valuable and insightful and exciting call you have ever had in your career, I promise you that. Again, there’s no fee. No strings attached. No risk. My gift to you. You’ll also receive the Practice Prosperity Package, which is jam-packed with uncommon wealth-building strategies. 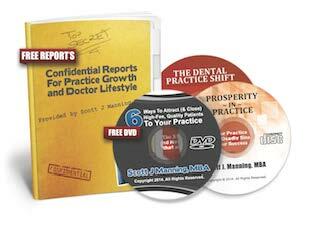 The combination of the Confidential Reports, DVD Presentation, and Audio CDs will unlock real prosperity for you and your practice, guaranteed. Please provide the best Phone Number to reach you in order to coordinate your Patient Retention & Practice Profit Blueprint Call. What Is One Thing You Would Change About Your Practice, If You Could Change Anything? Don’t stay trapped where you are. 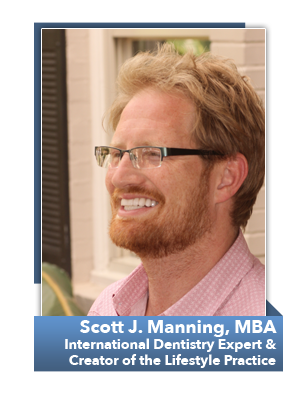 You can have all the patients you’ll ever need and the Lifestyle Practice you deserve. If you give me that opportunity and I guarantee I won't let you down. © 2018. All rights reserved. Dental Success Today. 725 Cool Springs Blvd, Suite 600, Franklin, TN 37067.